Wth this Set Offer we will give you the wig shown for FREE and you save Euro 119.90 ! 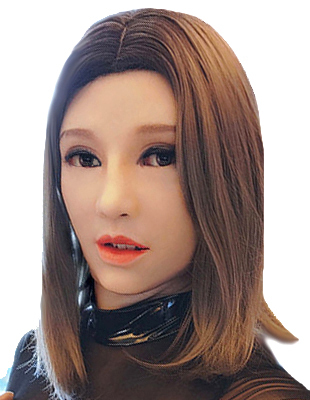 Make your dreams come true with this highest quality female silicone full mask of the extra luxury class! 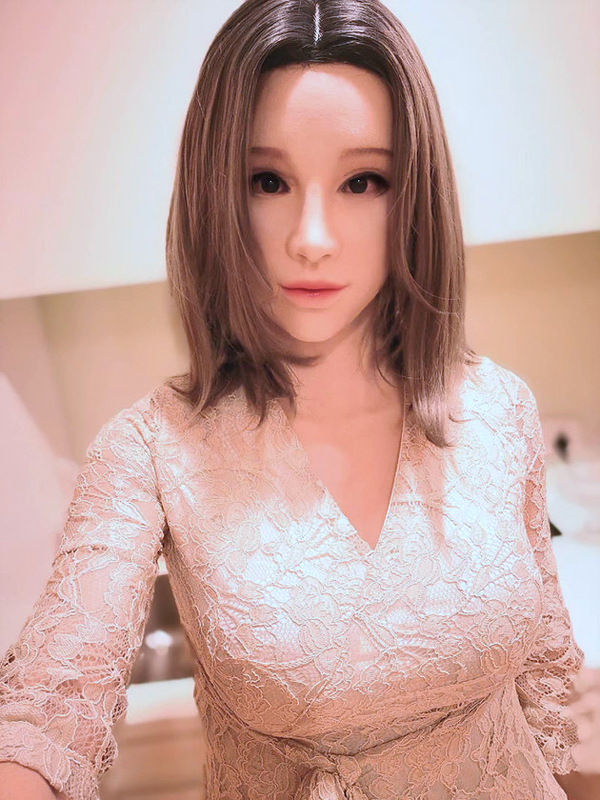 Turn into a " real " woman within only some seconds with this deluxe highest quality realistic female full mask made of highest quality silicone rubber (medical grade) which is absolutely safe to use and feels like a second skin. This full mask looks and feels so soft and real, just arousing ! With this silicone mask even facial movements are possible, just like a real woman looks like ! On the photo the mask is shown with the matching super deluxe breast torso and super deluxe gloves. This wonderful realistic silicone mask of the extra luxury class you will enjoy for years ! 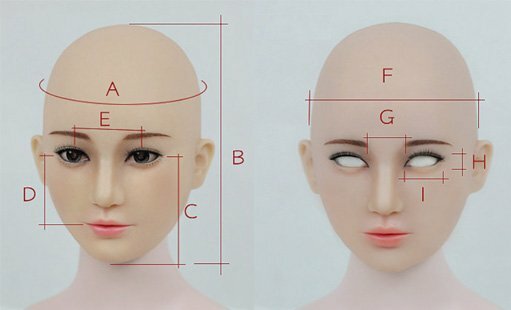 For the sizing of the mask, please click on the small photos below. 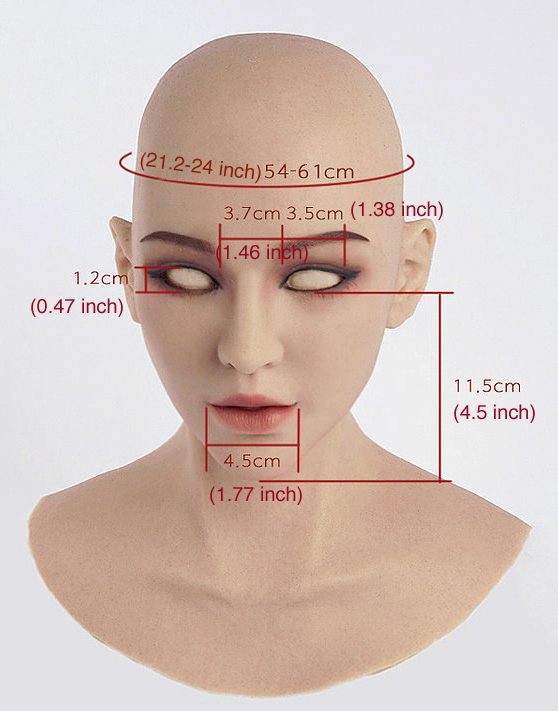 Although the mask has a certain flexibility, please measure your mask size accordingly for the best fitting result. Baby Powder can be used for easy put on of the mask and to maintain the smooth surface but please take care of the eye lashes and make up. You could use mild soap for the inside of the mask, please do not rub the mask rudely, after cleaning just air drying. For storage please do not fold the mask or put any weight on it. You will enjoy this deluxe mask of the extra high quality class for years !